The Rochester-area high school outfielder Matt Carey hoped to move up to play in college - and receive a good education at the same time. In doing so, Carey cited his coaches, including his coaches with the Rochester Rage travel baseball team. "I am constantly looking to get better at the game, and use helpful advice whenever possible," Carey wrote on the recruiting site NSCASports.org. "I have great coaches and I am constantly looking to them for advice that will increase my abilities on and off the field." 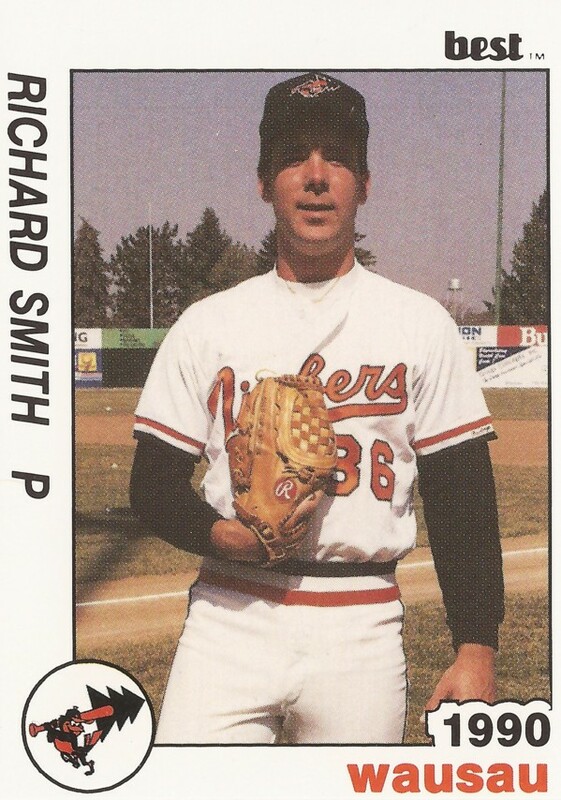 His coach on the Rochester Rage team: Former Orioles minor leaguer Rich Smith. Smith came out of the Rochester area himself to play professionally in the Baltimore system. He played two seasons there, making single-A but not higher. Smith's career began in 1989, signed by the Orioles as an amateur free agent out of the University of Maryland. He went to Maryland out of his native Penfield, NY. Smith was also credited as Rick Smith. Smith started with the Orioles at rookie Bluefield. He got into 12 games, starting one. He had a 6.95 ERA, picking up two losses. Smith moved to single-A Wausau for 1990. He went 1-0 over six relief outings. He gave up 13 earned runs in 7.2 innings of work, marking the end of his brief professional career. Smith eventually made his way back to the Rochester area. He's coached travel ball there beginning at least as early as 2006. He joined the Rochester Rage in 2010. A Smith-coached Rage 13U team took top honors in a Delaware tournament in 2011.